Covers: matte board covered with homemade bookcloth. Signatures: Border & Riley 'Penny Bond' paper; writing done with walnut ink, using a t/o nib. 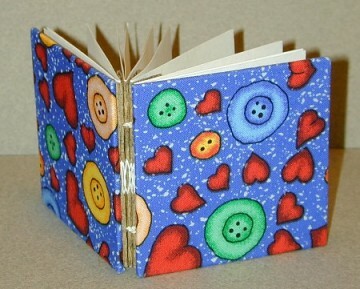 The dimensions of the finished book are 3" x 3" (7.6cm x 7.6cm).